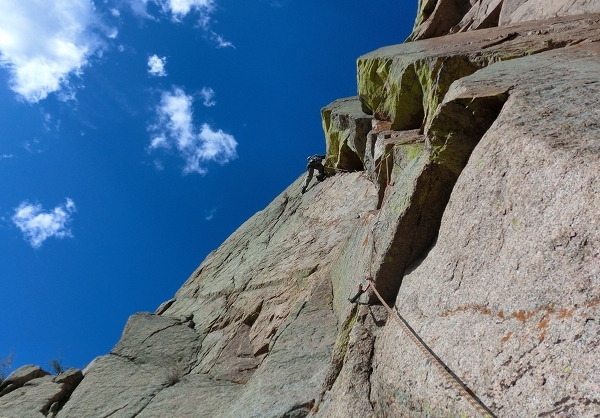 It was a relaxed two-day weekend in northern New Mexico with a lot of quality climbing. 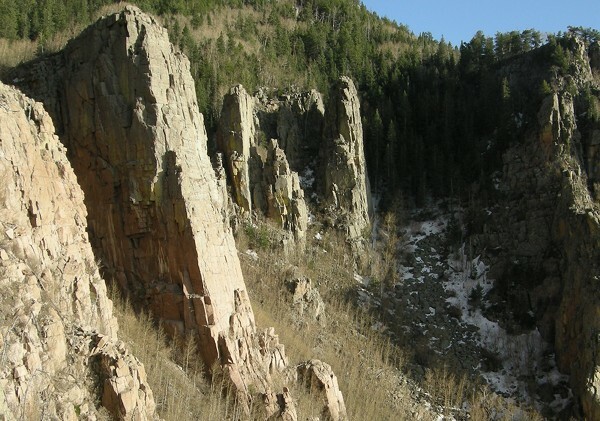 Saturday we headed for Tres Piedras. Naomi leads a fun little crack. Here I lead the first friction fest of many, The Black Streak. 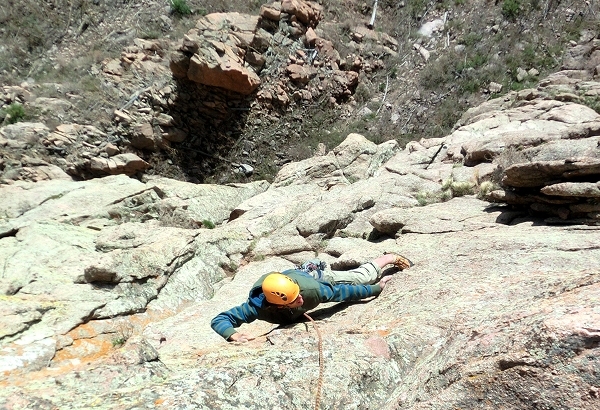 The most memorable pitch of the day for me at Tres Piedras was Better Red Than Dead. I did not realize what I was about to climb. There's a bolt after about 20 feet of face, then another bolt, then it turns into a long stretch of thin face (high angle slab?) before a stance and a thin crack where I am inclined to say, "That was scary!" Then it evolves into a leisurely chicken-head haul for the remainder of 60 m: another fine freakshow at TP. 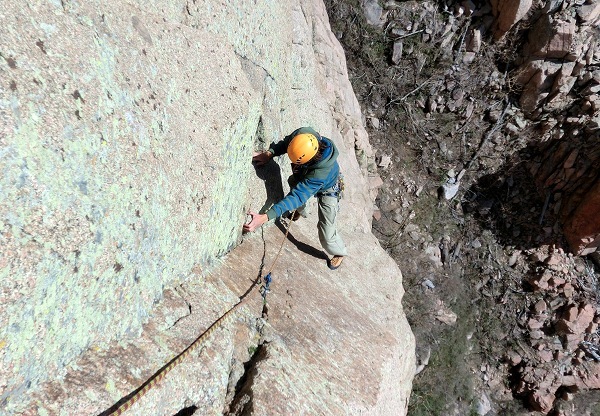 The Sandias sounded like a good Sunday adventure. I spied some classic climbs in an area that would be completely new to me. Somehow we managed to find the formation despite the book's description of the approach, "obsure even by Sandias standards." 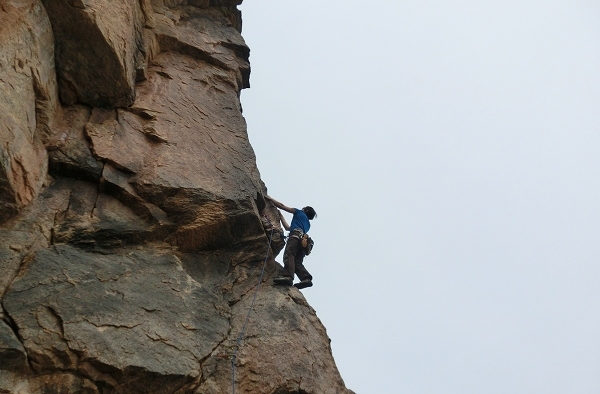 Naomi leads the first pitch of Excalibur. "Protection is adequate but not abundant." By adequate but not abundant it seems like they must mean, "Don't fall or it will hurt real bad." 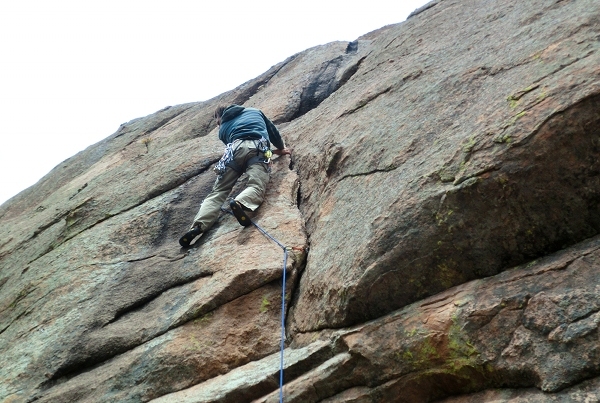 The crux pitch is wayyyy cooool. 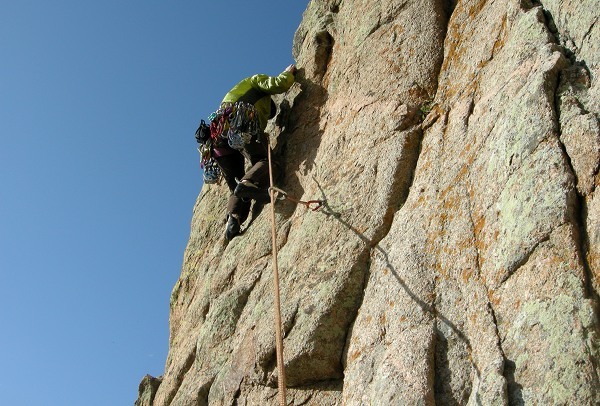 It starts with a series of slightly devious face moves before some opportunties for micro gear, then a tricky move to pull above the small stuff to a bolt, then some balancy sidling to a thin, overhanging dihedral. Naomi leads the last little difficulty. 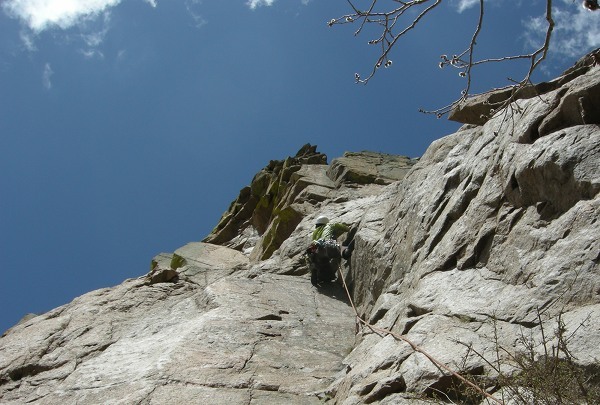 Sandias climbing is always interesting with more face climbing than most other granite I've climbed. Other attractions in this neighborhood.